With its spectacular beaches, world-class hotels, intimate landscapes, fiery volcanoes, dense forests, intriguing island culture, incredible wildlife, and seemingly endless horizon, it's no wonder that the Hawaiian Islands have attracted millions upon millions of tourists. Whether you decide to go to Hawaii for romance or recreation, you can be sure to have the vacation of a lifetime through its enchanting islands. Before you pack your bags though, you should take some time to plan your trip and how you want to get to Hawaii. This article will provide some helpful information on traveling to and around the Hawaiian Islands. You should begin by planning out your trip and come up with an itinerary to get the most from your Hawaiian vacation. It can take some time and effort to coordinate your travel plans, but a good plan is essential to make everything go smoothly. Your intentions for your trip will have a lot to do with your means of travel, accommodations, and activities, so determine why you want to go to Hawaii. For example, if you are going to Hawaii for a honeymoon with your spouse, then you may want to consider staying in an intimate location with accommodations that offer a romance package. - How many people are traveling together for the trip? - Who is coming along on the trip? Are you with your family, loved one, friends, business partners, or another group? - When will you be leaving for Hawaii and when will you be departing from Hawaii? - Where do you plan on staying when you arrive at Hawaii? - What are some of the things that you want to do while in Hawaii? You may want to do a little research on the Hawaiian Islands to familiarize yourself with the geography, places-to-go, and things-to-do. Getting the most out of your trip to Hawaii has a lot to do with how much of the islands, their culture, and their people you want to experience. So you have the basic travel details and a list of the things you want to do in Hawaii. It's now time to plan your travel and transportation for the trip. There are basically two modes of travel for getting to the Hawaiian Islands: by air and by sea. Most of the flights heading into and out of Hawaii are handled by the major international airport of the state, Honolulu International Airport. As the capital and most populous city in all of the Hawaiian Islands, it is only fitting that the state's international airport is located in Honolulu, which is on the beautiful island of Oahu. Honolulu International Airport also handles flights to and from most of the domestic airports on the other islands. If your final destination is on an island other than Oahu, then chances are that your flight will connect from Honolulu International Airport to another domestic airport. When booking your airfare to Hawaii, you should already know all of the information regarding who your are traveling with, where you are going in Hawaii, and other essentials, such as your passport information. With all of the flights and airliners that service flights to Hawaii, the best way for you to get a good deal on your tickets is to take some time to shop around. It can be easy to settle for the first deal that you find, but to get the best value for your money, you should definitely check out what the other airliners have to offer. Some of the factors that may have an impact on your airfare costs include the number of travelers, your destination, your travel class, and whether or not your tickets come as a package deal or a special price. If you are a frequent flyer and you already have a good history with an airliner, then you may want to see if you are eligible for free miles or any other discounts on your airfare to Hawaii. Finding discounted vacation packages and airfare deals has never been easier with the widespread accessibility of the Internet. 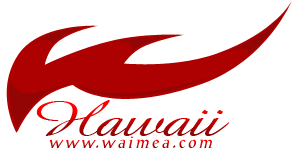 One search on your favorite search engine and you can find numerous websites to help you plan your air travel to Hawaii. Some of the packages you can find include airfare and accommodations packages, which offer a discounted price for your airplane tickets and your accommodations expenses. Another common vacation package type are those that include airfare and vehicle rental services. If you plan on renting a vehicle when you arrive at Hawaii, then you should definitely consider one of these deals. Make sure that the deal you choose will help you enjoy your vacation to the fullest without busting your bank account. Another option to getting to Hawaii is by sea. While some may shy away from this travel option because it takes much longer than air travel, getting to Hawaii by sea can be a wonderful and memorable trip. One way of getting to Hawaii by sea is on a cruise. While airliners can take just hours to get to Hawaii from just about any other point on the globe, a cruise liner may take anywhere from five days to weeks. Numerous cruise liners take off and land on Hawaiian shores all year round. Taking a cruise to Hawaii can be one of the best and most relaxing travel decisions you make. The biggest advantage to planning a Hawaiian cruise vacation is that many of the cruise liners already have set tours that island hop around the major islands of Hawaii. This means that your time can be spent enjoying your vacation instead of stressing over travel plans. Some of the cruise liners, for example, pass by islands such as Oahu, Maui, Kauai, and "The Big Island" Hawaii. As the cruise travels to these different destinations, they make stop-overs along the way for activities such as hiking, scuba diving, snorkeling with turtles and dolphins, watching the surfers on the shoreline, and experiencing all of the beauty and wonder of Hawaii's nature and its people. Aside from all of the fun and adventure you can have off of the ship, many cruise liners have a wide variety of services and facilities for entertainment, relaxation, and downright fun. Such services and facilities include pools, spas, and bars. Now that you have a good idea of how to plan your transportation to Hawaii by land or sea, another concern is planning your transportation while you are in Hawaii. Many tourists and locals agree that one of the best ways to get around Hawaii is by sea. Little can compare to the experience of island-hopping by boat, canoe, or cruise ship. Hawaii also has an extensive land transportation system. A very developed island, Oahu has four federal highways and a public transit system called TheBus. Taxis and car rentals are also available in most main cities. If you're planning to travel to places with rugged terrain, it's best to rent a vehicle that can handle difficult roads such as a four-wheel drive. Finally, you can also get around Hawaii via domestic flights around the state. For travelers with special needs, there are travel agencies that cater to group tours and offer various services such as car rentals for the disabled. Handicapped travelers need not worry about getting to and around Hawaii because there are numerous services, accommodations, and facilities that can cater to their special needs. There are tools that can greatly help you avoid getting lost when in Hawaii. One such tool is a GPS or Global Positioning device. As a matter of fact, it's not uncommon for travelers going to Hawaii to bring with them GPS devices. You can just download online maps of Hawaii into your GPS, or you can also bring with you old-fashioned maps. A traveler's guide book can also be of great help, especially when interpreting road signs written in Hawaiian.